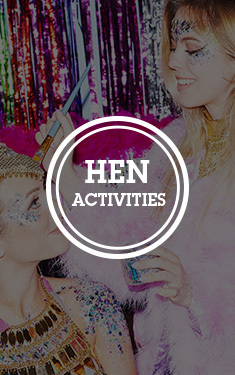 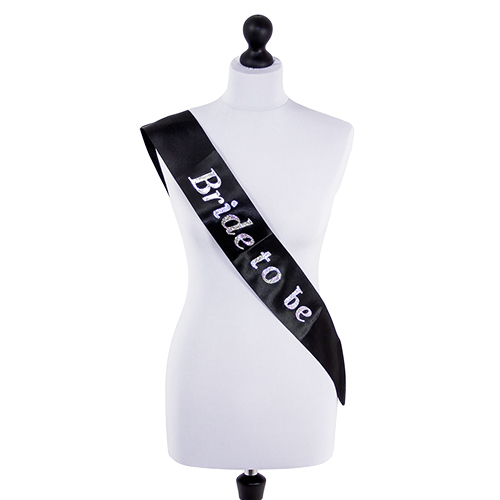 If the willy straws, tiara with veil attached and high pitched screaming weren’t enough of a give-away – you need some hen party sashes to complete the hen-package. 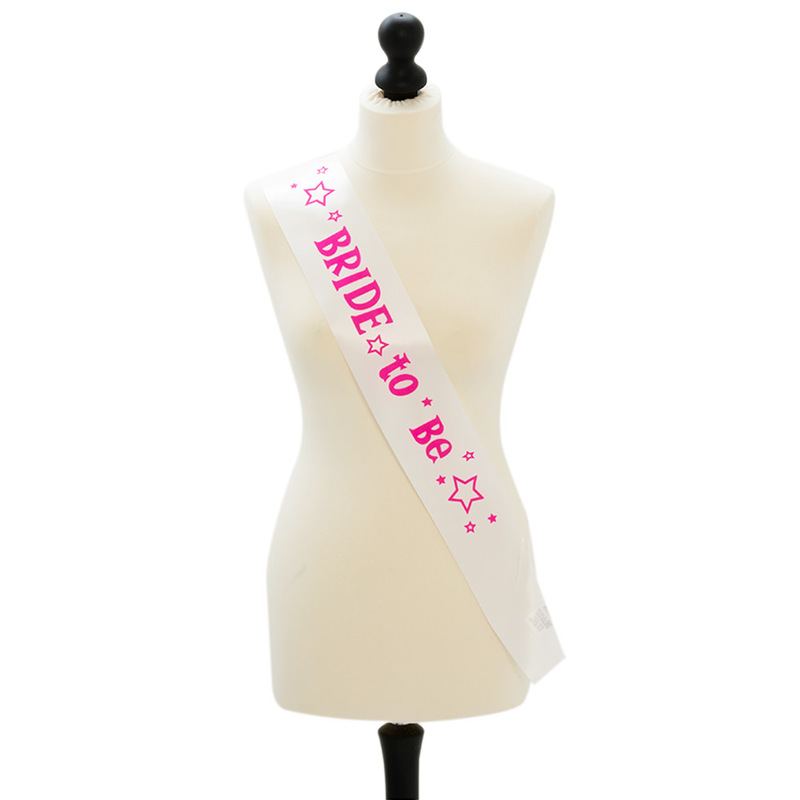 This high-quality material is white with pink Bride-to-Be and starry text, contrasting against the background – making it the perfect addition to any hen party outfit. 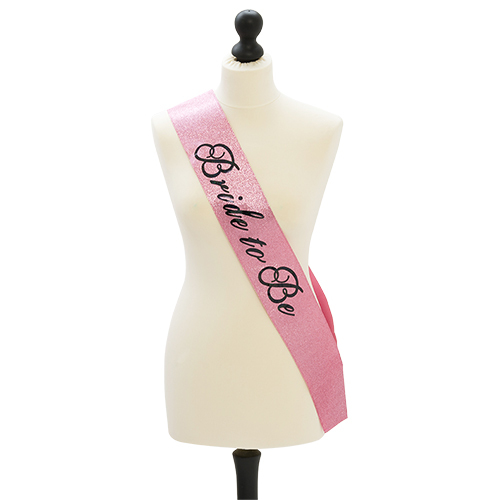 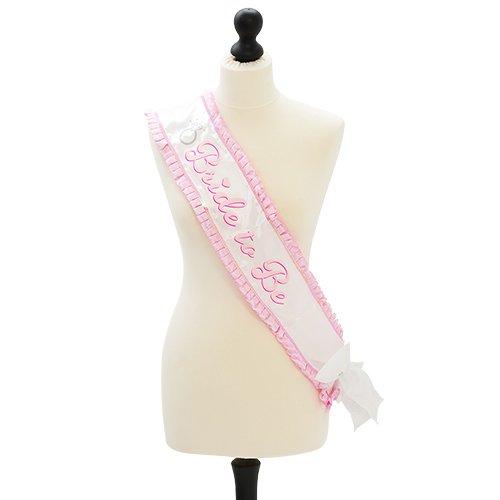 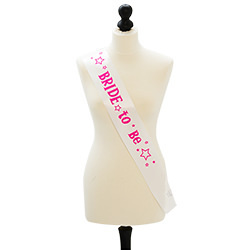 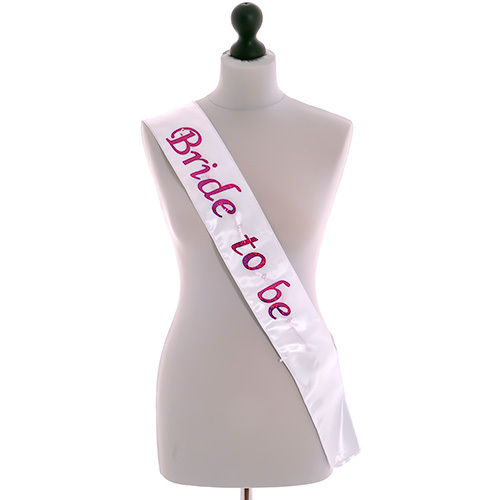 Guaranteed to get you noticed on your night out, this bold sash will turn heads and make the hen feel like a VIP from the off.